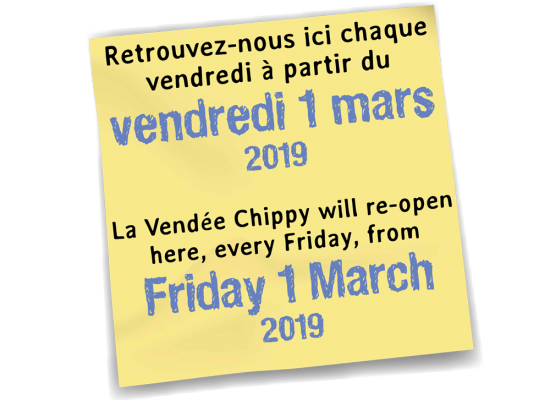 Your traditional chip shop experience here in Vendée. 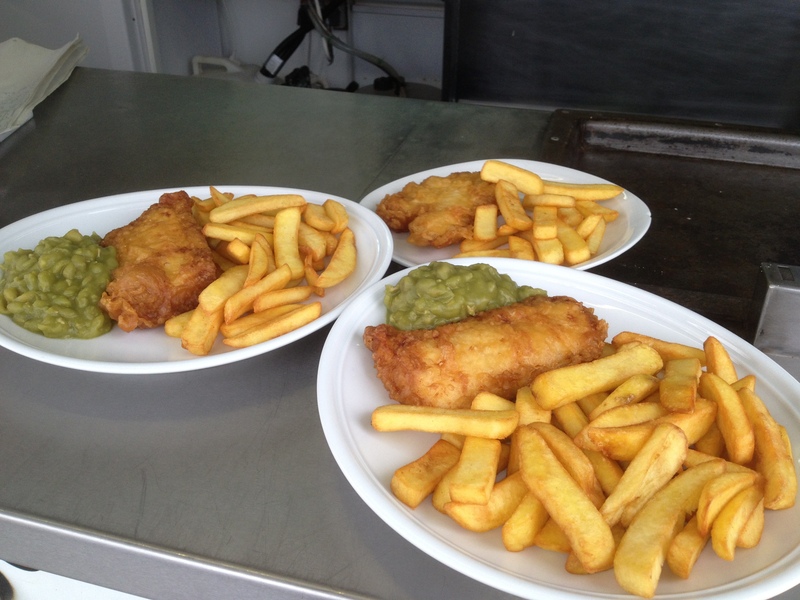 We take pride in cooking our food to order, for each and every customer, to ensure it is always fresh and tasty. 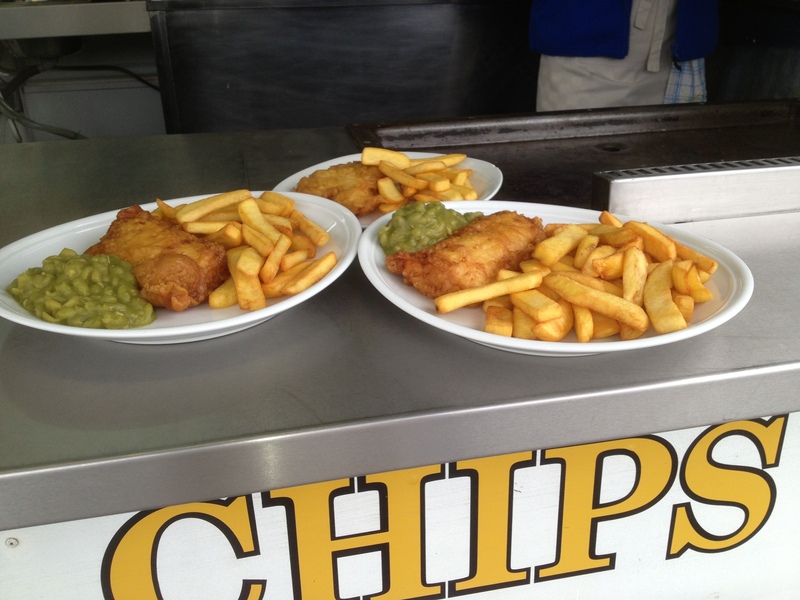 We source our ingredients from UK suppliers therefore ensuring an authentic British taste. Our North Atlantic cod is freshly frozen at sea to guarantee it reaches you in perfect condition. We also serve chip shop sausages, locally supplied ‘Markey’s’ pies and pasties, and haggis and black pudding direct from Scotland. We are pleased to provide a choice of vegetarian options to leave no-one hungry. 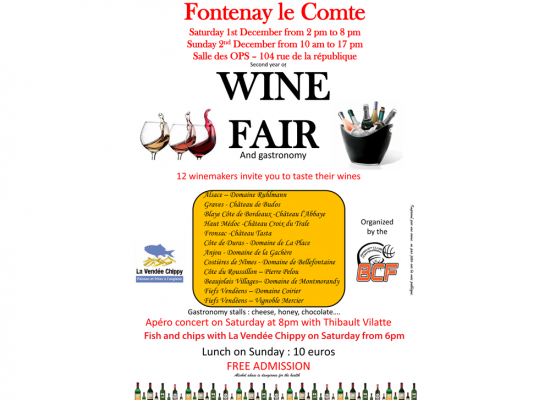 Fish, chips & wine tasting!